Reflective white ceramic top plate resists alkalis and acids and cleans easily; drip edge guards against spills. 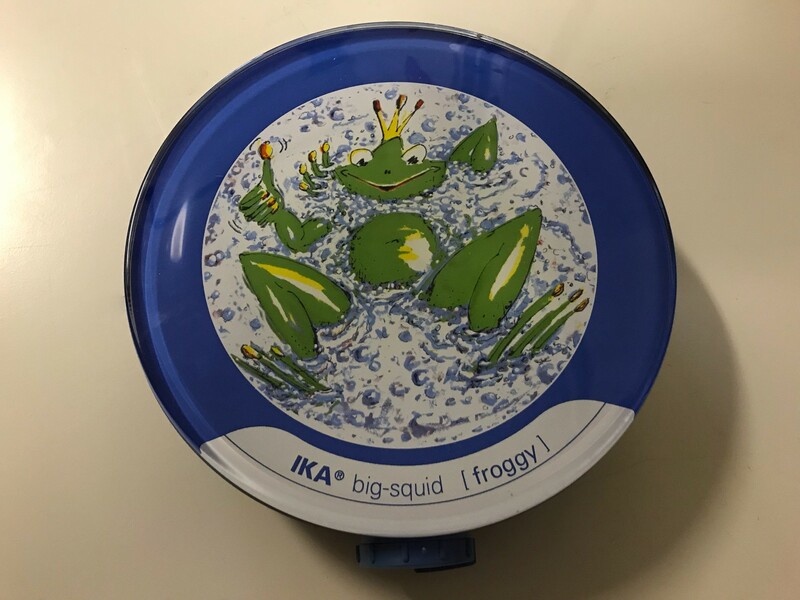 Durable die-cast aluminum base with a built-in ring stand holder. The VWR Mini Stirrer is a rugged, compact stirrer with an ergonomic design and can stir up to 1000mL of water. It is energy efficient by running only when needed and stops after operation. Reduce the risk of spills using this Thermo Scientific™ StirBuddy™ Personal Stirrer, which has a compact and space-saving design with a large, 6 ft. stirring surface. Easy to clean with drip edge protection against spills. Compact size ideal for stirring in distillation or organic synthesis setups, in small, open or closed vessels. 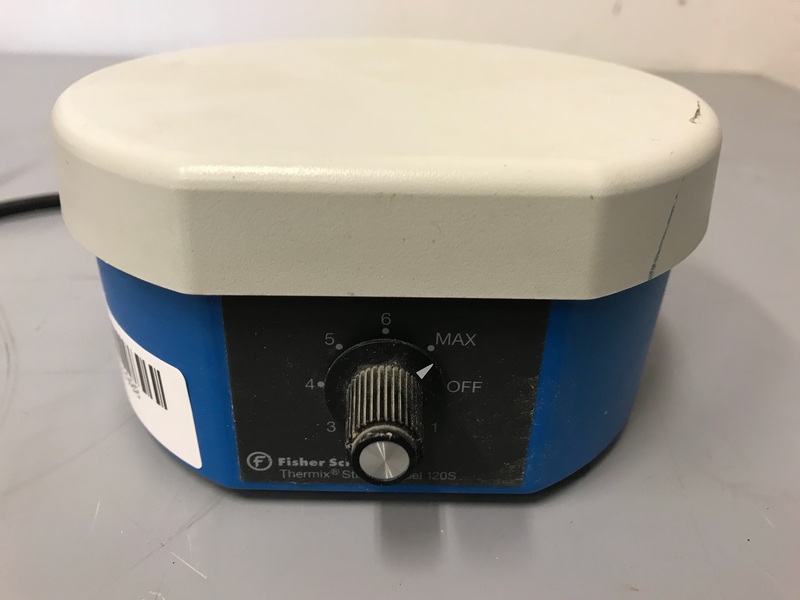 The BEING Magnetic Heated Stirrers offer a large variety of sizes and temperature ranges to accommodate your laboratory needs. Our stirrers provide a user friendly PID controller offering a large LCD color screen for easy viewing. They are constructed for durability, high performance and safety. 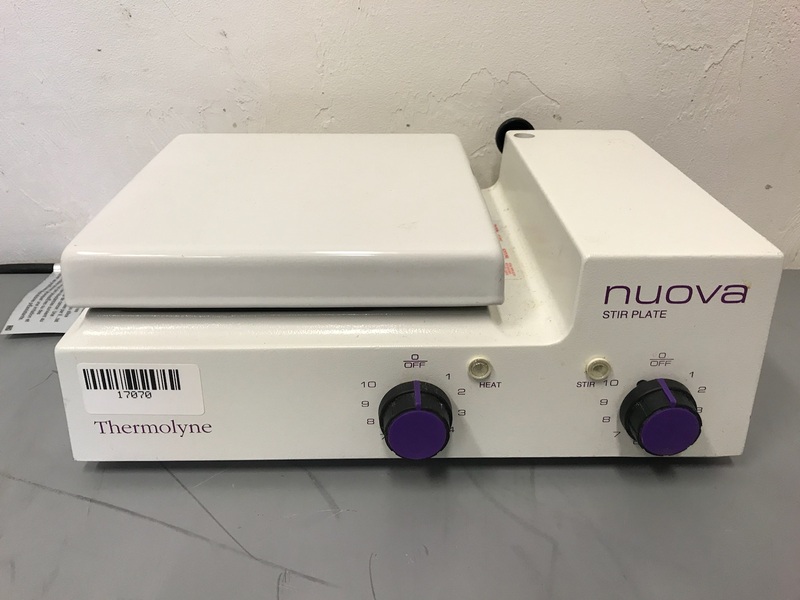 This small magnetic stirrer contains an electronically controlled motor for more capacity with outstanding chemical resistance due to the glass top and synthetic bottom made of TPC-ET. 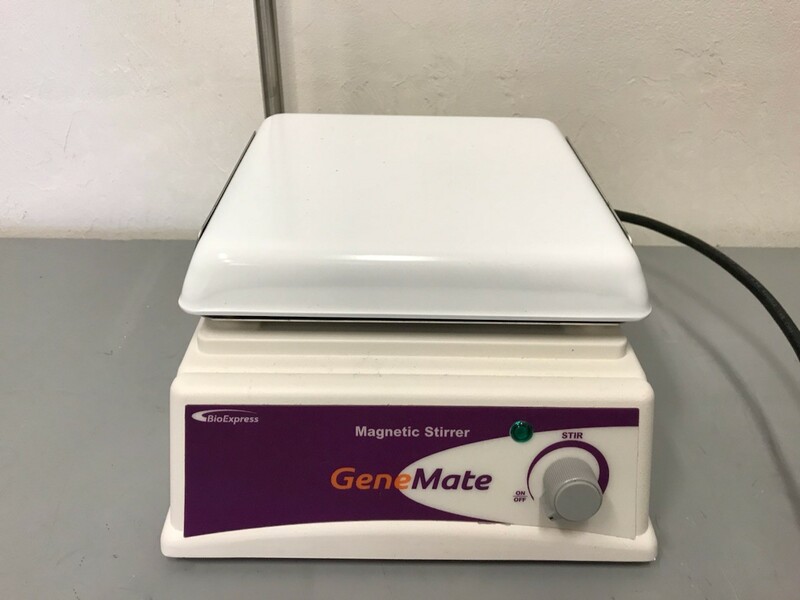 Economical and durable, the Dylastir magnetic stirrer is perfect for routine mixing applications. Ideal for clinical, research, and other everyday laboratory applications. Space efficient and featuring an exceptionally durable, chemical resistant white ceramic work surface, perfect for use on crowded bench tops and inside of bio-hoods. Advanced microprocessor controls with convenient turn knobs allow quick, precise adjustment and maintenance of speed and temperature. Ceramic Work Surface: 7.5” x 7.5” in. 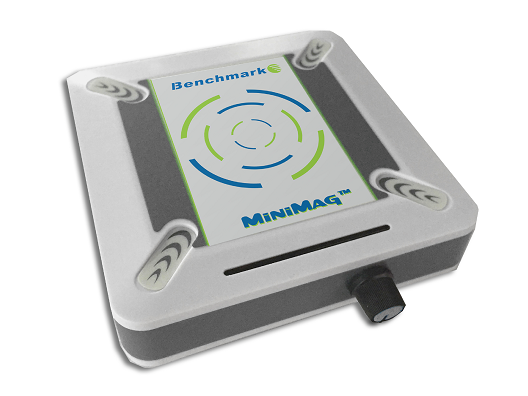 With a square footprint of under 5 inches, the MiniMag is the most compact stirrer in the Benchmark line. 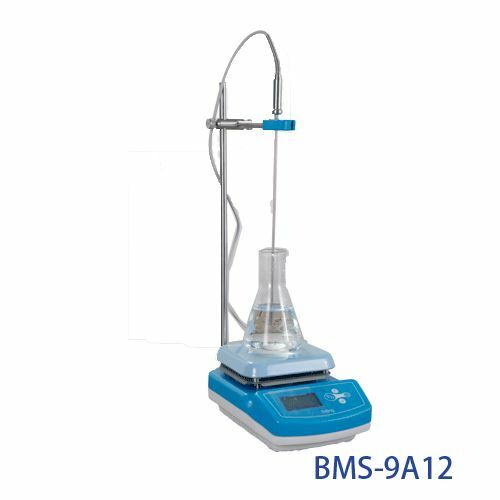 Despite its modest dimensions, the 3.4 inch square work surface accepts a wide variety of beakers, flasks, bottles and other laboratory vessels for stirring volumes as large as 1.5 liters. The stirring speed is continuously adjustable from 100 to 1,500rpm. 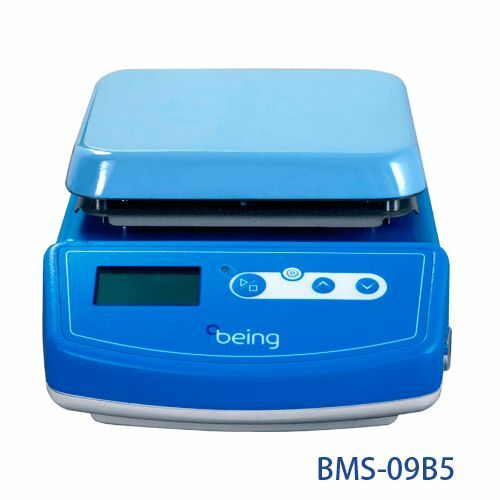 For temperature sensitive samples, the MiniMag is incubator and cold-room safe for use from +4°C to +45°C. Solid-state speed control, chemically resistant porcelain-coated SS top plate (7 × 7 in.). Direct drive motor gives smooth stirring at low speeds and thorough churning action at high speeds.